Nebulized glycopyrrolate is well tolerated in patients with severe COPD who may benefit from long-acting muscarinic antagonist therapy despite the presence of established CV risk factors. The following article is part of conference coverage from the CHEST 2017 in Toronto, Canada. 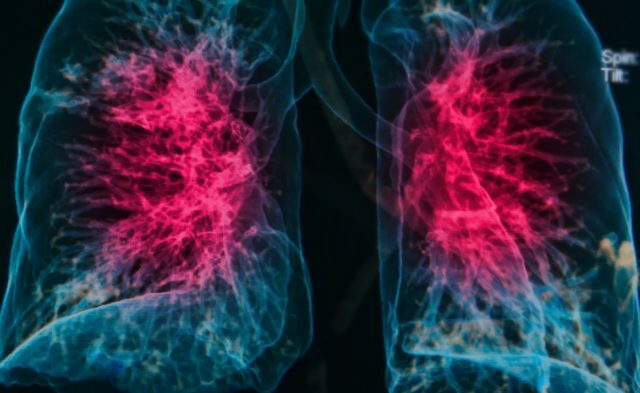 Visit Pulmonology Advisor’s conference page for more conference news. TORONTO — Among patients with moderate to very severe chronic obstructive pulmonary disease (COPD) with cardiovascular (CV) risk factors, nebulized glycopyrrolate (GLY) improves lung function and patient-reported outcomes up to 48 weeks, according to study findings presented at CHEST 2017, held October 28 to November 1 in Toronto, Ontario, Canada. Investigators presented pooled findings from 2 studies that included 2379 patients randomly assigned to receive either 25 or 50 μg GLY twice a day delivered via an investigational closed-system nebulizer (eFlow Closed System, PARI Pharma), 18 μg tiotropium once a day, or placebo. Participants were stratified by high cardiovascular risk (n=1526) and low cardiovascular risk (n=853). Rates of therapy discontinuation resulting from adverse events were similar among both stratified subgroups; however, patients receiving 25 and 50 μg GLY had lower overall rates of discontinuation (high: 6.2% and 3.6%; low: 3.2% and 4.5%) vs placebo (high: 9.0%; low: 9.9%). The 48-week study observed higher discontinuations among the GLY group (high: 10.7%; low: 8.7%) compared with the tiotropium group (high: 3.7%; low: 1.2%) because of COPD events and higher rates of cough. In addition, there were greater major adverse cardiac events (MACE) in patients at high cardiovascular risk taking placebo than GLY at 12 weeks (incidence rate [IR] for high vs low: placebo, 25.1 vs 0; GLY 25 μg, 0 vs 0; GLY 50 μg, 24.3 vs 21.6). The MACE IRs were also higher for tiotropium than GLY at 48 weeks (high vs low: GLY, 6.7 vs 6.0; tiotropium, 24.3 vs 13.6). There were significantly greater improvements in 1-second trough forced expiratory volume in both patient subgroups who were randomly assigned to GLY compared with placebo (25 μg, 95 and 97 mL; 50 μg, 99 and 113 mL, respectively; all P <.001). Ferguson GT, Tosiello R, Goodin T. Cardiovascular (CV) safety and efficacy of nebulized glycopyrrolate/Eflow CS in phase 3 trials of patients with moderate to very severe COPD. Presented at: CHEST 2017; October 28-November 1, 2017; Toronto, Ontario, Canada. Abstract 2744255.